Remembering Brother Robert M. Vrablik `18. 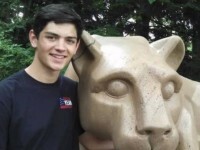 Kappa Sigma Penn State has recently learned of the death of a Brother. Our thoughts are with his families and friends.